KLA-Tencor Corp (NASDAQ:KLAC) fell more than 5% on Monday after announcing the purchase of Orbotech Ltd (NASDAQ:ORBK) for $3.4 billion. 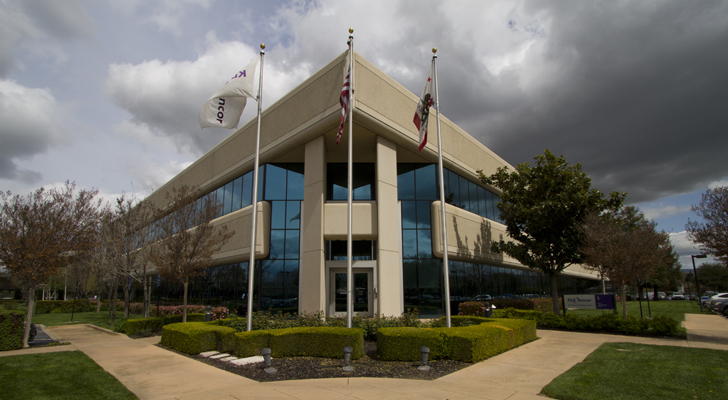 KLAC currently stands as the world’s leading enhancer of production techniques for the chip industry. In buying out ORBK, it takes control of an Israeli-based peer. More importantly, investors wanting to buy KLAC stock not only gain a more diversified business but also a precious buying opportunity. KLAC will pay $69.02 per share for ORBK stock. ORBK rose as much as 11.5% on the news. However, it gave some of that gain back in Monday trading and trades well below the price that KLAC will pay. The company also expects that the two companies operating as one will yield a cost savings of $50 million over two years. Interestingly, Orbotech became a leader in LCD flat-panel displays after acquiring KLA Acrotec from KLA-Tencor in 1999. No comment yet from the Trump administration, which has recently blocked mergers in other industries. In fact, Lam Research Corporation (NASDAQ:LRCX) canceled its planned buyout of KLAC in 2016 over fears antitrust authorities would block the merger. However, LRCX has double the market cap of KLAC. Also, peers such as Applied Materials, Inc. (NASDAQ:AMAT), Rudolph Technologies, Inc. (NYSE:RTEC) and others will compete with KLAC, so analysts don’t expect the deal to stoke monopoly fears. Moreover, by announcing this merger, the company created a buying opportunity. Along with the purchase of Orbotech, the company will purchase $2 billion worth of KLAC stock back. This will be funded by both cash and new debt issuance. The picture for KLAC stock also continues to improve. The equity has risen by 36% since hitting a 52-week low last August. Last month, it also approved the largest dividend increase in its history. The company raised its quarterly dividend to 75 cents per share, up 27% from the 57 cents per share it paid in the previous quarter. The new dividend will bring the dividend yield to 2.6%. Moreover, profitability is expected to markedly improve for the foreseeable future. After earning $5.88 per share in fiscal 2017, analysts expect profits to rise to a consensus $7.71 per share in fiscal 2018. This will bring the forward price-to-earnings (PE) ratio to under 15. Consensus estimates in future years also have earnings growth forecasted at over 10% per year. Moreover, analysts based these estimates on pre-merger information. ORBK is also experiencing profit growth. Hence, profit estimates will likely move higher once the company completes the merger. News of KLA-Tencor’s pending buyout of Orbotech not only makes KLAC a more diversified company, it also provides the chance for investors to buy KLAC at a lower price. Merging the two companies will not enhance its chip manufacturing niche. It will also bring the company into the printed circuit board market and return KLAC to the flat-panel display business. Moreover, the short-term selling in KLAC stock caused by the merger gives investors the chance to buy in more cheaply. The stock price fell despite the fact that a buyback will reduce the supply of shares. Stockholders will also benefit from an increased dividend, rising profits and a PE well below the S&P 500 average. Hence, the merger will not only benefit current shareholders, but new investors as well. Article printed from InvestorPlace Media, https://investorplace.com/2018/03/both-new-and-old-investors-in-kla-tencor-stock-benefit-from-merger/.